THIRTEEN-time World Series of Poker champion Phil Hellmuth Jr. headlined a high-stakes celebrity poker showdown at SugarHouse Casino (1001 N. Delaware Ave.) last night. 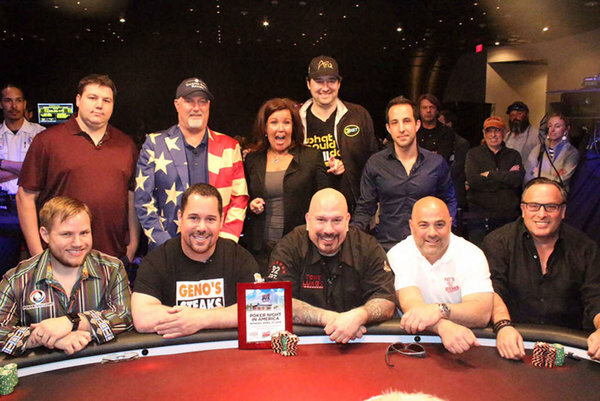 The Fishtown casino hosted its first major cash poker tournament this past weekend, featuring the WSOP Hall of Famer and three local poker fanatics dubbed Philly’s “Cheesesteak Kings”- Tony Luke Jr., from Tony Luke’s; Frank Olivieri, from Pat’s Steaks; and Geno Vento, from Geno’s Steaks. SugarHouse gave all three of them $5,000 to buy in. Hellmuth, who can also be seen on “Poker Night in America,” which airs Monday nights on CBS Sports Network, will be available today at the casino for photos and autographs. The winner of last night’s tournament had not been declared as of press time. Who could possibly say no to that? 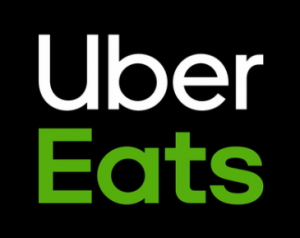 Philly2Night.com and UpcomingEvents.com have partnered in an attempt to organize the world’s largest bar crawl May 9. More than 10,000 day-drinking warriors are expected to kick things off at noon and visit 75 bars – from Center City to the riverfront to the Art Museum area to the sports complex area and back again. Don’t ask me the logistics. Organizers are calling it the “World’s Largest Bar Crawl” and a portion of the proceeds will benefit the Philadelphia Fraternal Order of Police Lodge No. 5 and the Barkann Family Healing Hearts Foundation, which helps provide emotional and financial support for families suffering from the sudden loss of a loved one. Tickets to the event can be purchased at thecrawl.com. He has an eye for style, and now our very own Street Gazer, Reuben “Big Rube” Harley, is being courted by an art exhibitor in Paris. We’re waiting with bated breath to see if Big Rube will be featured by Paris Galleries, an eclectic French art exhibitor. Big Rube told me that Paris Galleries contacted him six weeks ago via Instagram and expressed interest in his photography LipHeele’ (a combination/twist of the words “lip” and “heel,” two subjects often the center of Big Rube’s photos). LipHeele’, he tells me, “brings wearable canvas to ‘artography,’ ” and he’s been selling the clothing line for about three years. “It’s going to be the next big thing,” Harley tells me. He goes to France next week to begin talks. ICYMI: Vice President Joe Biden was at the Penn Relays this past weekend. Sources say he was spotted at the 121st Penn Relays late Saturday afternoon as he slinked out of a black car in his motorcade just outside Franklin Field, adjacent to 33rd Street. I’m told Biden made the trek because his nephew, Nick Biden, was competing for the Haverford School (450 Lancaster Ave., Haverford) in the high school boys 4×400 Philadelphia Area race. Race results show Haverford placed seventh out of eight schools competing.